Earlier today, a new "Apple Events" channel appeared on the Apple TV revealing that the company will be offering live video streaming of today's media event. At the time, it was unclear whether Apple would also be offering a stream through its website, but the company has now updated its site to promote a live stream available online. The video stream requires Safari 4 or later on a minimum of Mac OS X Snow Leopard, or iOS 4.2 or later for those accessing the stream from a mobile device. Streaming via Apple TV requires second- or third-generation Apple TV with a minimum of software version 5.0.2. Apple's event kicks off at 10:00 AM Pacific / 1:00 PM Eastern, and MacRumors will have full coverage of the event's announcements. this should shut down all the "why can't my 10,000 bucs mac stream this" whining! "It's as if millions of live bloggers suddenly cried out in terror and were suddenly silenced." Sorry Engadget, Verge, etc. Your value just went down today! Finally!!! This is very rare of Apple, to stream events. The last time was when they updated the iPods. Maybe this will be the new standard for apple, live streams would sure be nice! Do you think the live video of the event is brought to us in part by those 20 engineers acquired from Color? I really wish I just had school off today instead of having to go in an hour before the event starts... Can't wait to come home and see it though! NO WAY!!!!!! This is just a corporate media event. It is important to Apple and its suppliers and the retailers and the shareholders. It should not be more important to you than school, which is your life. Apple products are great, but they can't breathe for you, think for you, get you your first job, play a game of basketball for you, or start a business for you. They make great tools to help out. Just go to the Apple Store or their online store soon after this media event and you will get all the info you need without having to watch a bunch of corporate execs wow you. Unless you want to be a corporate exec, I find these events fairly boring and filled with hype, particularly after the map fiasco on iPhone 5 and Siri's limitations on iPhone 4s and AntennaGate on iPhone 4. It all looks great in presentation, but in the real world, the bugs present themselves. And don't forget to brush and floss your teeth and wash behind those ears!!!!! Now hurry along to school so I can get ready to watch my Apple event without interruptions!!!! Basically: Not available to PC users. 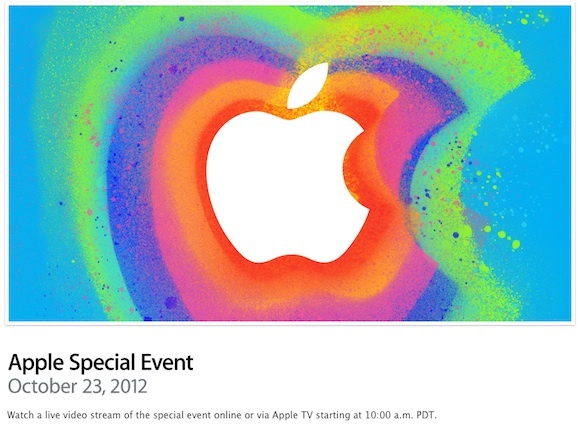 Nice to see Apple will be streaming this live event and hopefully many from now on! I'll watch it on my Apple TV. You can put safari on an PC. Blogs can't be happy. I'm sure they make a fortune from these Apple event liveblogs with ad revenue.